August is nearly here! You know what that means? It’s time to check out your July goals, migrate old tasks, and prepare your bullet journal for the new month. 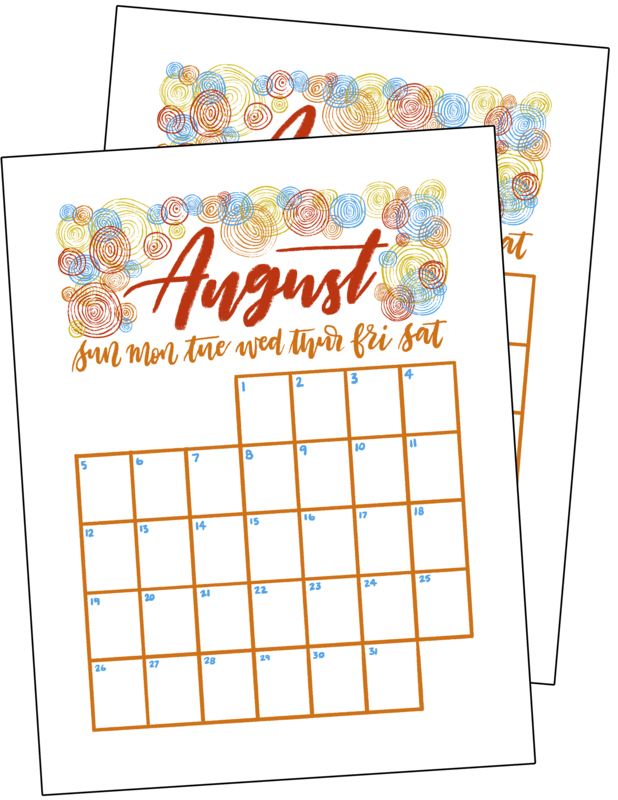 And with the click of your mouse, you can get ready with my free August 2018 calendar printable! 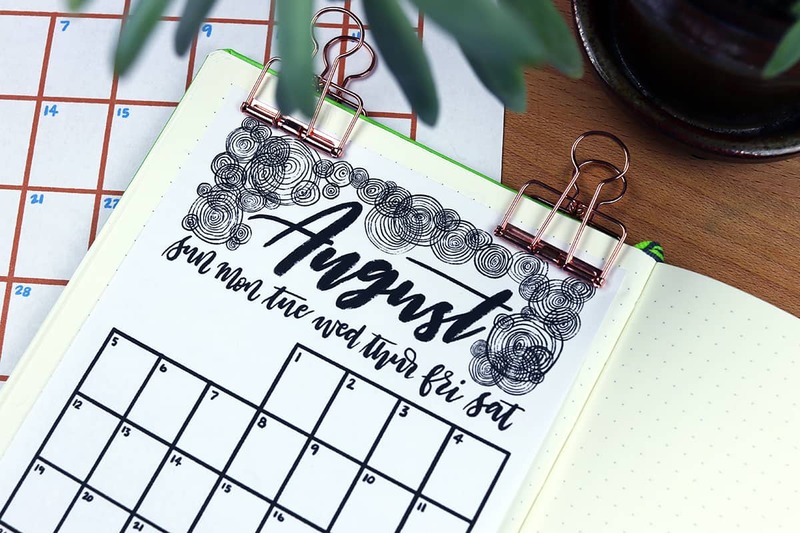 Whether you’re having a busy month or you just want something a little bit different in your bullet journal, this bullet journal printable will fit the bill. I was pretty stumped for a while on my August 2018 calendar printable, to be honest. I wanted something that spoke to the heat of summer without being too obvious or cliche. After some fiddling around, I ended up doodling these circle patterns. They’re totally abstract and can be interpreted as whatever you like — this colorful pattern reminds Jon of stained glass and it makes me think of baskets hanging on a wall. However you see them, they can be a fun addition to your bullet journal! I also wanted something that was very simple because I am having a crazy month. Jon is taking the Bar exam to become an attorney at the end of July, and then we are casting out on our grand adventure to the west coast of the United States right after he’s done! We will be taking a month-long road trip, which means I’m not even setting up a monthly spread in my watercolor planner for August. I know myself well enough to know that I won’t even touch it while we’re on the road, and that’s okay! Sometimes life comes before planning. Just like last month, I’m giving you a few options so you can optimize this calendar printable for your needs! If you like the full color version, then that’s fantastic! In fact, drop a comment below and let me know if you want more colorful printables like this because I’m not totally sure about it. However, if you prefer black and white, then I’ve got you covered there, too. You can even opt for the black linework version and color it in yourself if you want. Think of all the possibilities! And again, I am giving you the option to create this bullet journal monthly printable in the standard letter size (8.5″ x 11″) and in A5 (5.8″ x 8.3″). So if you’re more of a full sized binder type of person or you like a smaller A5 bound journal, then there is a version of this calendar printable for you! Ready to download this free monthly planner printable? All you gotta do is sign up to the Fox Den Resource Library! 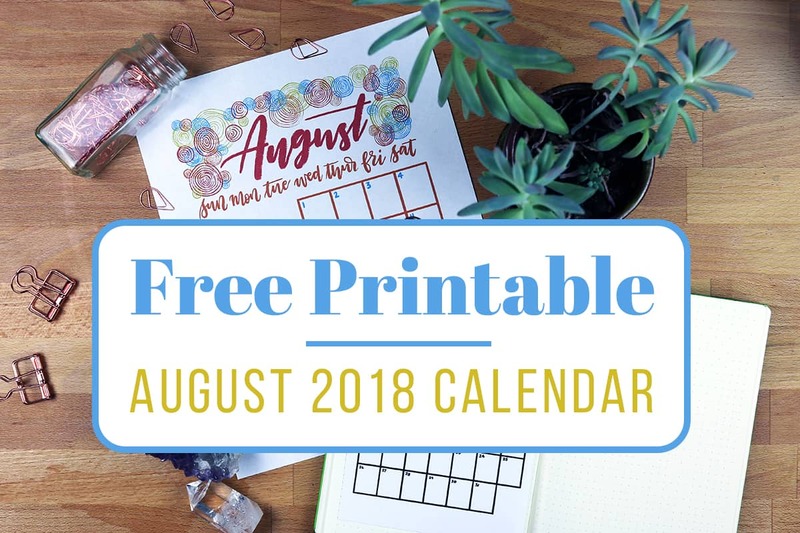 It’s totally free, and it comes with plenty more goodies AND brand new bullet journal calendar printables each month! Click here to sign up if you aren’t already and get access ASAP. If you are already a member of the Fox Den, then first of all, thank you! Second of all, head here or click the image below to get to the sign in page. Enter the password that was sent to your email when you signed up and this monthly bullet journal printable is yours to download! Are you ready to take on August?